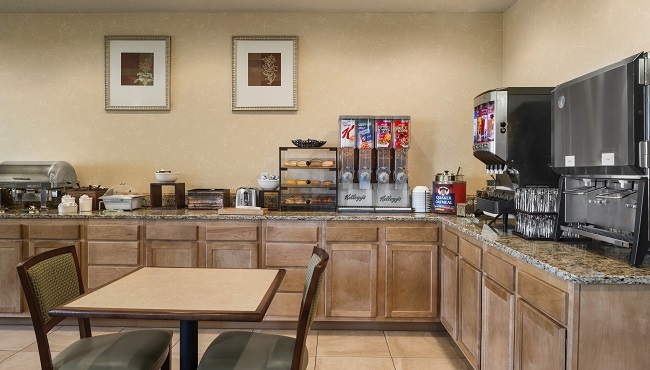 The Country Inn & Suites hotel in Stevens Point, WI offers a complimentary, hot breakfast every morning. Fill your plate with favorites like bagels, cereal, muffins and granola bars. You can drizzle warm syrup on a Belgian waffle or build a traditional plate of sausage, eggs and breakfast potatoes. 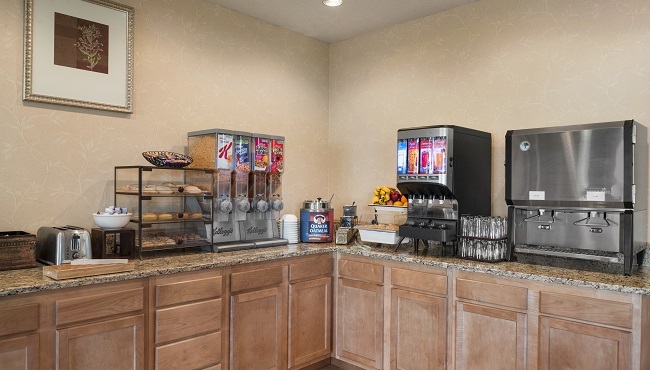 We also offer light choices like yogurt parfaits and fresh fruit. For lunch and dinner, explore nearby restaurants such as Polito’s Pizza and Silver Coach.